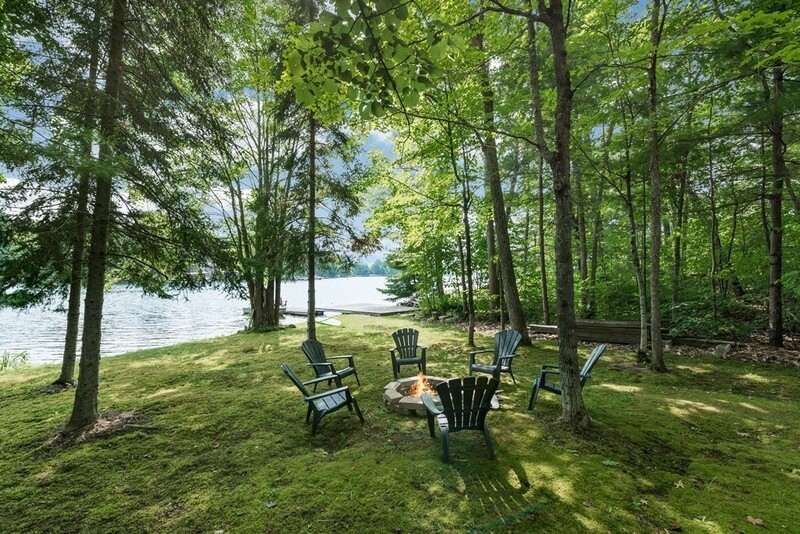 Enjoy the peace and quiet at this meticulous three bedroom cottage at the entrance to a quiet bay on the beautiful Six Mile Lake. 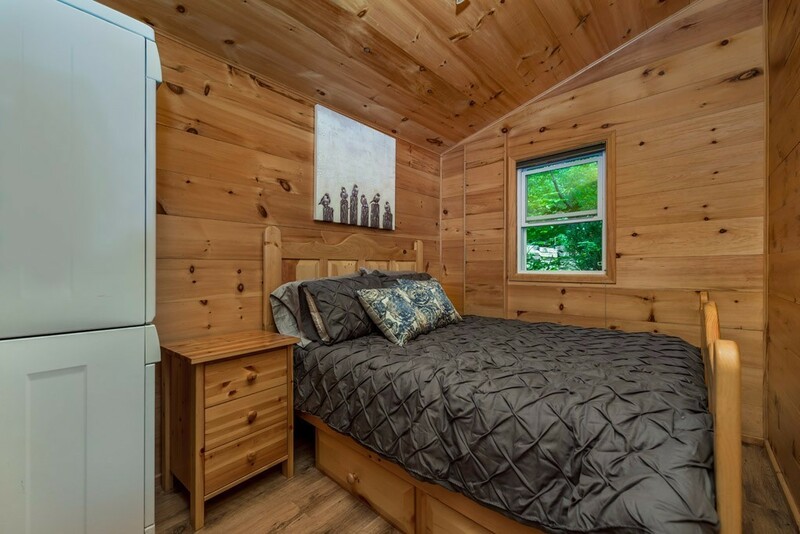 All of the modern comforts of home await while maintaining the cottage feel you expect when trying to escape busy city life! You will find an open concept kitchen and large living / dining room area for family gatherings and nightly meals. Walk out off of the kitchen to a large deck overlooking the water! Enjoy the comfortable patio furniture while watching the kids play at waters edge with sandy swimming area. Later in the evening, spend time with family roasting marshmallows over the fire with unbelievable water and nature views. 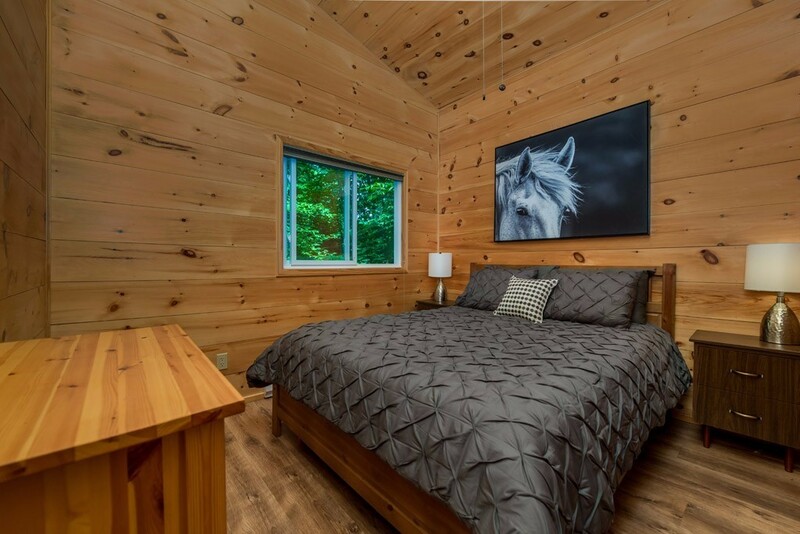 Sleep in comfort in one of the three bedrooms, one containing a queen. the second with a double, and third containing a trundle bunkbed (a set of bunkbeds with a third pullout from underneath). The living room has a pull out queen sofa-bed for additional sleeping options. 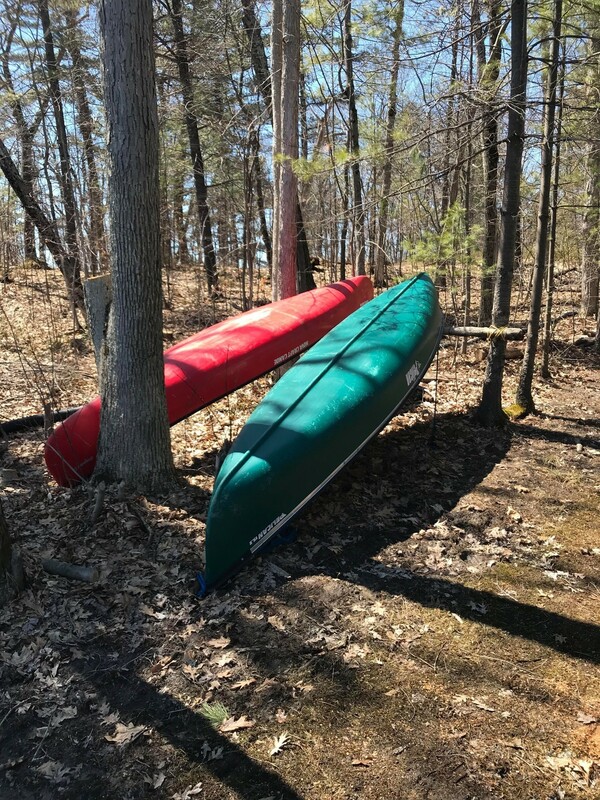 6 Mile Lake offers several parks, hiking trails, three beaches, and attractions, all close by for those that want to explore away from the cottage. Looking to play a round of golf?, Trek out on a nature trail?, or just relax on the dock with a good book?, then look no further! Six Mile Smiles will have you and your family smiling both during your stay, and for a long time after, with memories of quality family time spent together! Winter rentals now available. 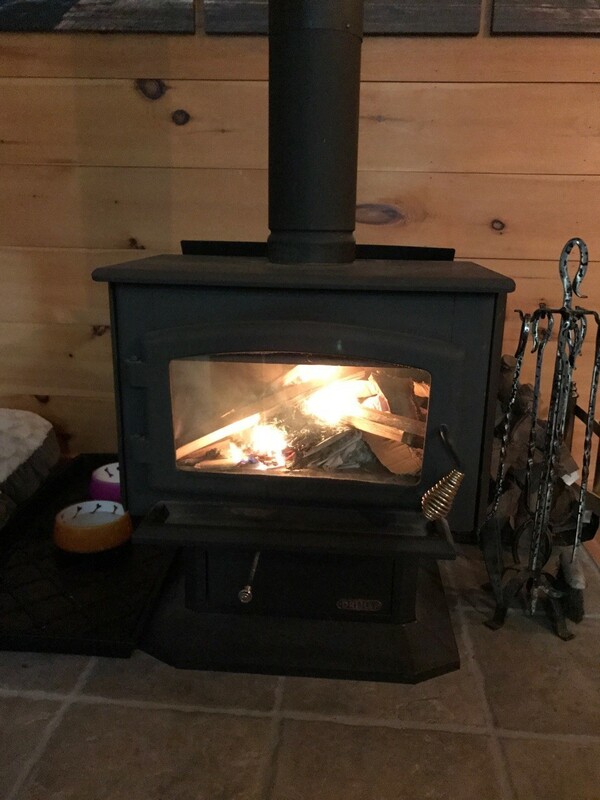 Six Mile Smiles now has central propane heat for even and reliable warmth, as well as a high efficiency wood burning stove for added warmth and ambiance! Pets are welcome at Six Mile Smiles! We absolutely loved your cottage! Everything we could possibly want or need is here. The views are awesome and there are plenty of windows from which to enjoy those views! We enjoyed great meals, great movies, games and puzzles. We can't wait to come back! We had a lovely time. We really didn’t see anyone for 3 days and was exactly what we needed. The cottage was perfectly appointed and the exact size we wanted! We walked around the lake every day pulling our daughter in a sled.... which we thought she’d love but it ended up making her sleepy! Regardless, we enjoyed it!! My husband and I found out that we both love puzzles! Never have we ever had that much time to actually stop and enjoy something as simple as a puzzle! We already talked about making this an annual trip so you will hear from me again! We've been looking for THE winter cottage for years and this is it! We stayed for 2 weeks and it was absolutely perfect!! 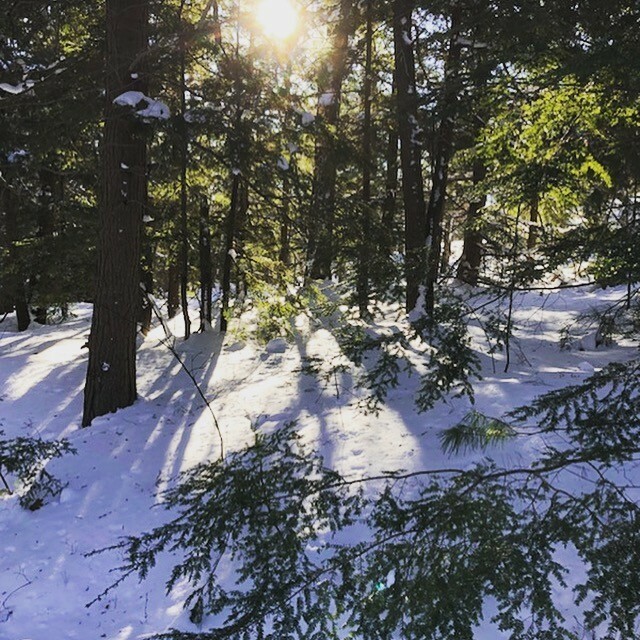 The kitchen, the fire, the lake, the local trails, the games and movies - there's so much to do we were never bored. We love how private and secluded it is, and the quiet and peaceful serene environment. The perfect getaway from the city - exactly what we were looking for! We hope to come back next winter and many more. P.S. our bulldog Violet loved the big comfy dog beds! Thank you so much again for this beautiful getaway. 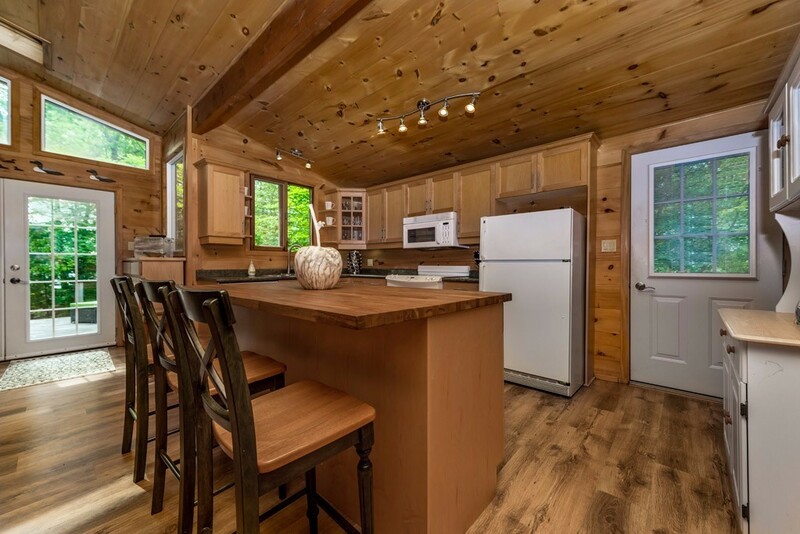 Your cottage is so lovely - has everything you need! We loved the fire and spending time bundled up on the dock! The sunrises and sunsets are so magical here and we really want to try to see in the summer. We would have a blast! Thanks again, and we can't wait to chat possible business opportunities. P.S. sorry for the messy writing! This has been a special and much needed weekend. With all the hustle of the city and family drama over the holidays, it was so nice to relax and recharge for a romantic couples retreat. I wasn't even sure where we were going. Beau planned everything, but I was overjoyed when we walked through the door, absolutely perfect! We started a fire and watched the flames in the dark, speaking softly in the warm glow, sipping our favorite drinks. I wish we had more time! There was always more to do and see and enjoy from skating on the lake around the island, to searching for Beau's phone on the ice to take the perfect picture, all the fires, learning how to skate backwards, (I definitely need more practice!) and of course leaning back in the Muskoka chairs on the dock to stare up at the stars through our warm breath. There was finally time, energy and desire to cook a good meal. Your kitchen had everything I needed to make a happy man, from pancakes and French toast filling the morning with wafts of cinnamon and maple syrup, to hearty and earthy beef stew (the BEST one I've ever made!) and a beautiful roast as well as sandwiches for days with leftovers, our bellies were as warm as our hearts. My favourite memory is swaying to the music together in the kitchen. Beau was kind enough not to make fun of my favourite top 40 country songs! This weekend helped us to refocus on what we want for the future - a warm home to grow with love. Jury is still out on kid names. Thank you so much for renting to a couple of 26 year olds. We aren't all about partying, we just want to add more love and joy to a place where so many great memories have transpired. We look forward to many returns and being a part of your extended cottage family! This weekend was everything I wanted it to be and more. 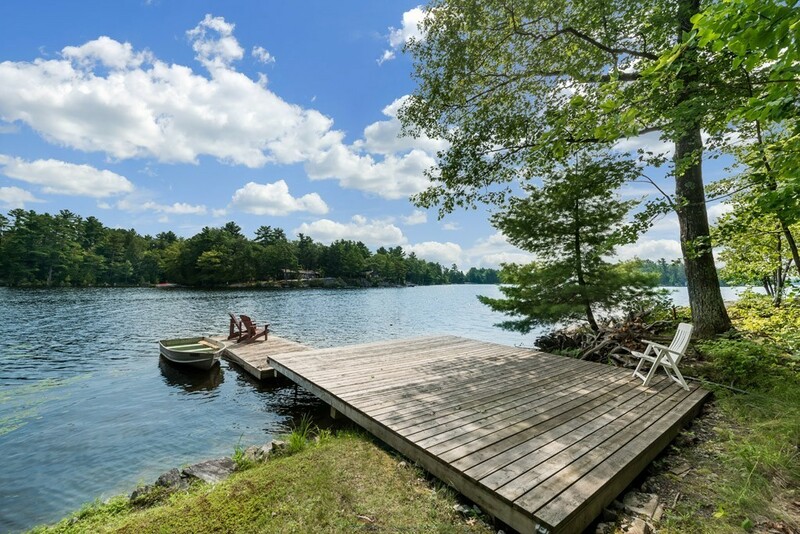 The cottage and the lake are absolutely beautiful, and the memories made will last a lifetime. 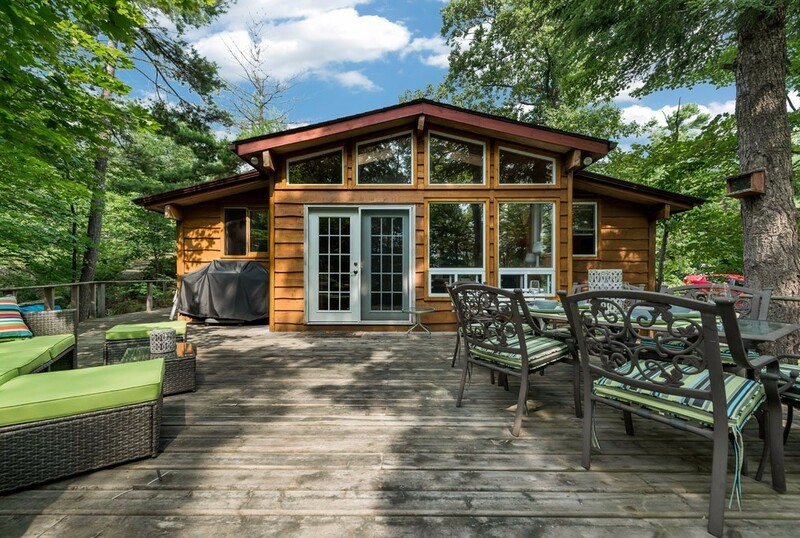 I believe quality time with loved ones is important and that your cottage was the perfect place for just that. My hope is that returning to Six Mile Smiles becomes an annual tradition for the woman I love and I. Spent New Year's with our family and had a wonderful time. Kids were able to toboggan on the property. We were also able to go skating and make snowmen! Everything you can ask for - granted. The weather worked out perfectly. Such a great spot in the winter. Summer must be amazing. Your welcome package certainly sets the pace for a great vacation. The dogs loved the beds and treats. And of course, the wine and hot chocolate were great. You really know how to make people feel welcome in your home right down to the well-stocked kitchen and the adorable decorations. We loved it and hope to visit again. Thank you so much for your hospitality. Can't go wrong with this place. All 6 of us had a wonderful weekend winter stay here as a way to commemorate our parents' 30th wedding anniversary. 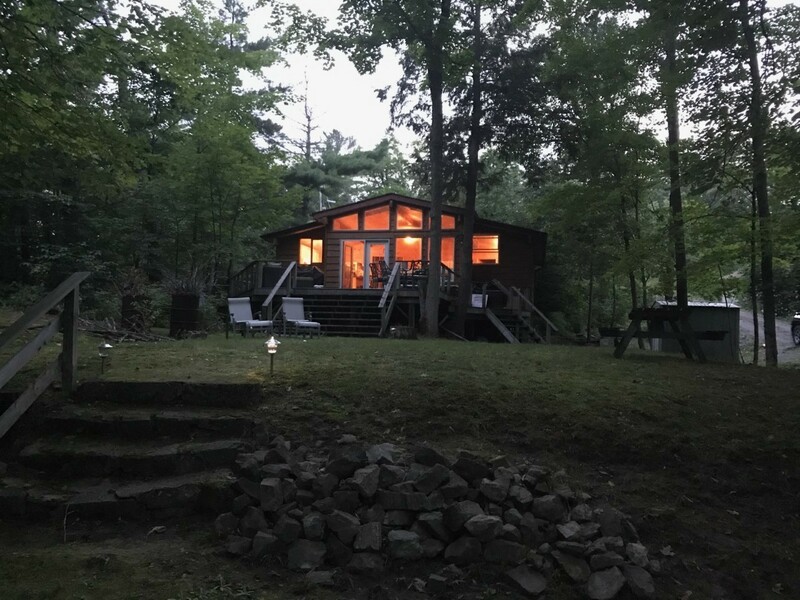 We have made truly fond memories over this weekend at your cottage, which was fully equipped for all our collective needs and more. The charcoal BBQ, bonfire we were able to create and the scenery at the lake in the morning were especially memorable. The atmosphere was very calm, quiet and peaceful. Please enjoy the wine on our behalf as we were unable to consume it due to our beliefs. We hope very much to return and enjoy your lovely cottage in the summer! We really enjoyed our stay at your beautiful cottage. We have created some very special and happy memories. The welcome package was truly lovely. The location of the cottage is perfect and we hope to return again in the summer time to see it all again. The cottage itself is amazingly equipped with all the necessities for an enjoyable stay. Thank you again for sharing your property with us. Would love to live a little closer. We just loved our visit. We've really enjoyed your beautiful and comfortable cottage. This was our wife/girlfriend getaway because our husbands all play on the same baseball team. After a summer of cheering them on, it was our turn to sit back and relax. We really enjoyed sitting on the dock and chatting around the kitchen table. Thank you for letting us enjoy your amazing cottage. What a beautiful place, we very much enjoyed our stay here! The welcome package was such a warm surprise! We really appreciated the dog beds and treats for our furry friends. 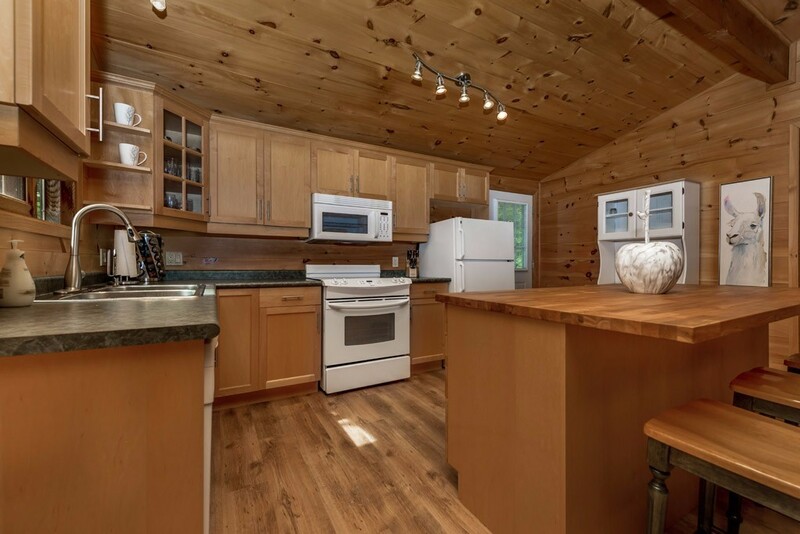 The cottage has everything you could possibly need. We enjoyed the sunrise in the mornings, watching the loons and hearing so many birds and chipmunks. Very peaceful. The evenings were so quiet, just us and the stars. The chairs at the dock were sought after regularly as the most popular spot! Thank you for the hospitality you've shown. We hope to return again - hopefully for longer next time. Amazing stay, really enjoyed the view and all the comforts - excellent weather!!! Felt really welcomed - much appreciated!!! Enjoyed the loons, fishing and the beaver. What a beautiful location. We loved our week here! Even with some rainy days we found plenty to do. We saw shooting stars and just the view of the stars was beautiful. We went for long canoe rides around the lake to explore and still have plenty more to see. Thank you for the hospitality, we greatly appreciated it and hope to spend many more weeks in the future here. Thank you for the dog treats and Bed. The wine and Smores were a big hit also. Got to see some of the Northern Lights. My daughter got to see her first shooting star. Very peaceful location. Caught my first fish off the dock. Had a great time. Thank you for a lovely stay. We enjoyed your beautiful cottage. Very welcoming! We, the King family of 4, absolutely loved Six Mile Smiles. Beautiful serene place. It was nice being on a bigger lake so we could enjoy boating and tubing as well. Thank you for the amazing hospitality, we've definitely made some happy memories here. Had an amazing time, doggos loved the water, weather was perfect. This place is wonderful. So peaceful! The location is remote, but well worth the drive! While here we lost power for 17 hours, and your neighbour next door shared his generator power with us to power the fridge. So kind! All the amenities provided make this stay so convenient & comfortable. I'll definitely consider renting this cottage again! The little welcome package, with wine and s'mores, was so nice too! Over all, very happy! Thank you for the stay at your cozy cottage! The welcome package was an awesome touch. We enjoyed fishing on the dock and canoeing around the lake. Everything was clean and fresh, and there were so many great kitchen supplies. The s'mores by the campfire were the perfect end to our days in the sun. Thank you for allowing us to stay at your amazing cottage. Everything was great. Beds were comfortable. Absolutely nothing to complain about. Everything was perfect. Fishing off the dock was relaxing. We caught 14 fish!!! Overall we had a great time and we will be coming back!!! The guys and I had a great time! The property is amazing and well kept. We caught 10 fish! Thank you for sharing your space and hopefully we'll be back; it's tough getting the guys together. What a spectacular getaway for our mini honeymoon! 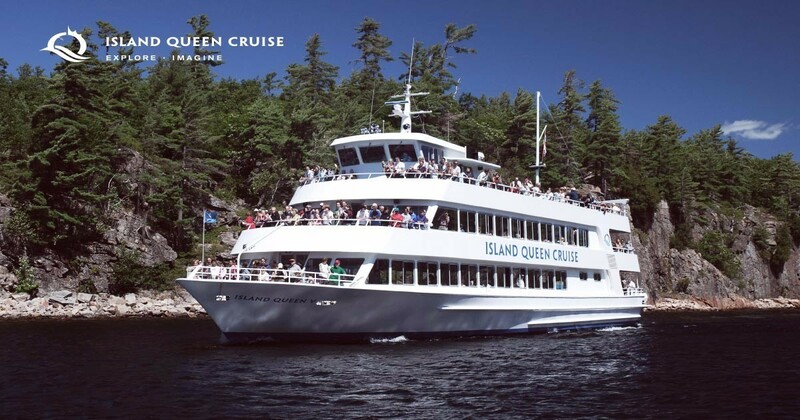 We both love Muskoka but have never stayed in this area & will definitely be back. the wine, card, roses, dog bed/treats and wedding confetti were a very sweet welcoming touch. Cottage was spotless when we arrived, beds & sheets very comfortable & the movies and games were great to have. We enjoyed our morning coffees on the deck, naps on the couch and several beers on the deck. We took a trip into Bala, walked around and enjoyed the beautiful town & were able to score some mosquito nets for our face as the fresh batch of black flies are pretty bad (although luckily not biting bad yet!) Our boys, pups, loved the level lot & lake. 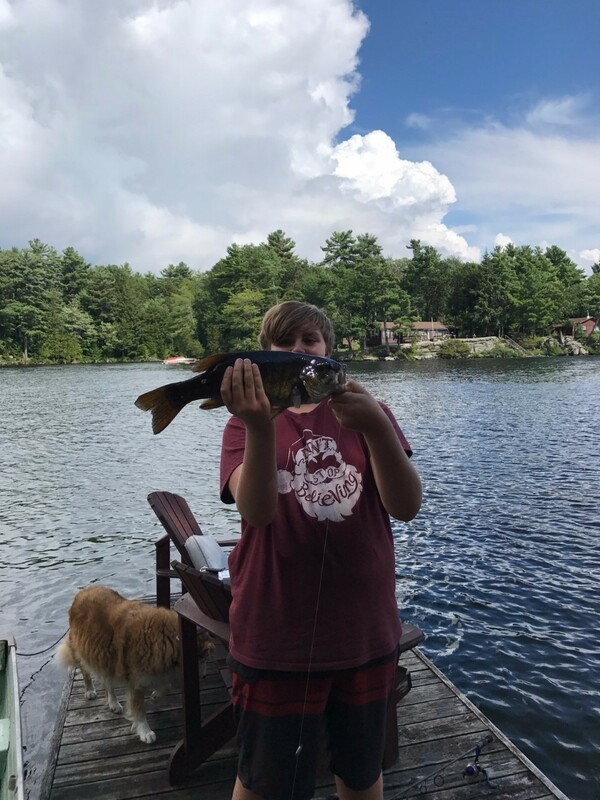 This was our youngest's first cottage go and its safe to say that the only thing he loves more than fetch , is fetch in the lake! Our oldest loved all the birds & chipmunks & lazy afternoons napping. Thanks for a lovely time at a lovely place. We will be back! Thank you for letting us stay at your amazing cottage! 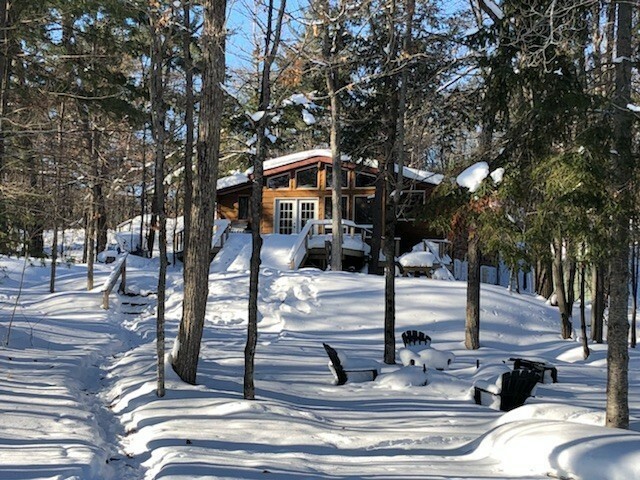 It was our family's first time at a winter cottage and it was an experience we'll never forget. The snow was beautiful and the special touch of the Christmas tree really made it feel like home. Our family is older now so the opportunity to bring everyone together is rare. This cottage was perfect for our mini reunion and we look forward to coming back. Thank you for the wine and hot chocolate, both were delicious! Thank you for a wonderful stay. The cottage & property are lovely & we enjoyed every moment. Our honeymoon was made even more special by the added touches; wine & chocolate, dog bed & treats. We will definitely recommend to our friends & family. Thank you so much for a beautiful cottage! It was a wonderful vacation. Thank you for the wine; it was really, really good. Also we want to thank you about the s'mores. And again thank you for everything. The cottage was wonderful and very, very clean. Thank you, we enjoyed this wonderful fall weekend at your lovely cottage! Felt like home. This is a wonderful spot! Thanks to everyone for the kind words and cottage stories. We love to hear how you're enjoying yourselves! Our favourite relaxing activity is sitting on the dock. We take the big blankets (above the master bedroom closet) down at night and look at the moon reflection on the water. There are two beavers swimming at night. We've seen both within 20' of the dock! I'm not sure they liked us watching them - we got a couple of tail flaps! Loons are still busy fishing. Hope there's still lots of bass at the end of the month when my family is all up to fish. Enjoy your fall visits here and we look forward to your comments. Thank you so much for some quiet and peaceful solitude! Enjoyed it all. 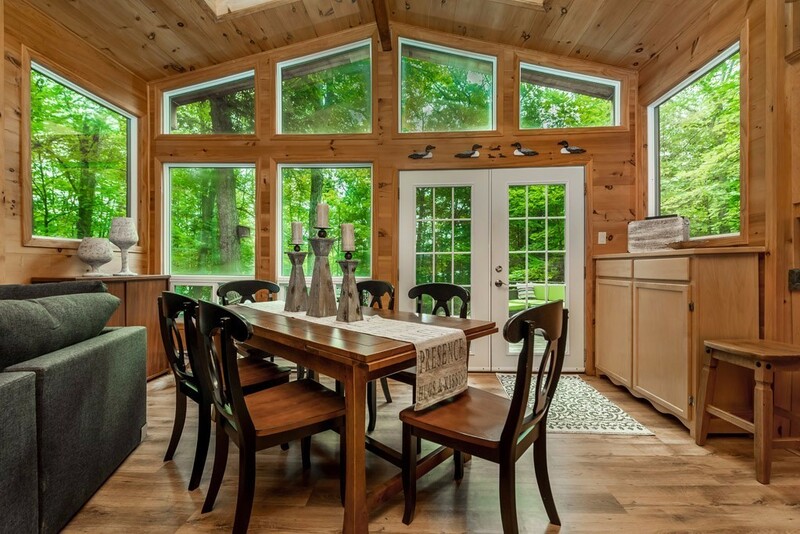 Beautiful cottage and wonderfully equipped. Your cottage is beautiful - the nicest one my husband & I have been to/stayed at. We were expecting cold & wet weather this week but instead we got amazing summer weather. We were able to enjoy your property & sit on the deck every morning. We also canoed every day for 2-3 hours! 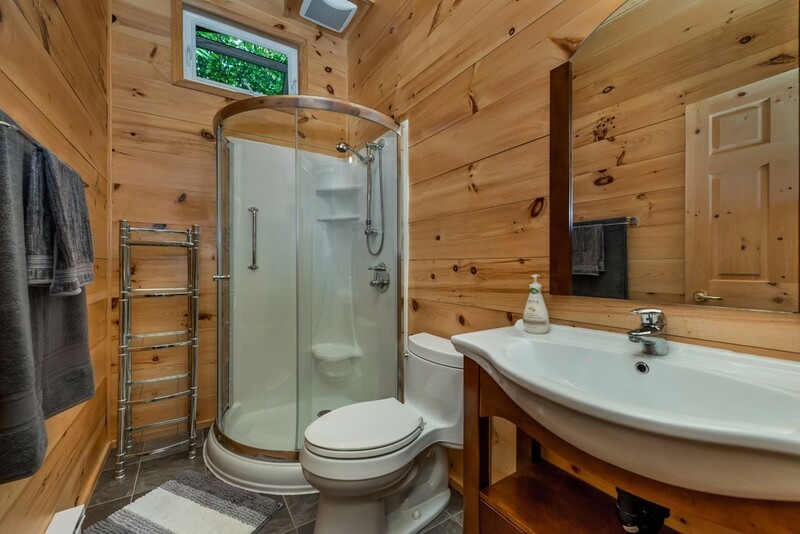 I can't think of anything you've missed because your cottage has all the amenities for a comfortable vacation. Thank you for sharing your cottage & we hope to return next year! Thank you for letting us enjoy your wonderful cottage. We were married one week ago & were in much need of a relaxing getaway with our dog Franklin to cap off the summer. The cottage is beautiful & had everything we needed & more. The fishing was great & we caught pike, bass & even a catfish! We would love to come back again sometime because we had such a great experience. 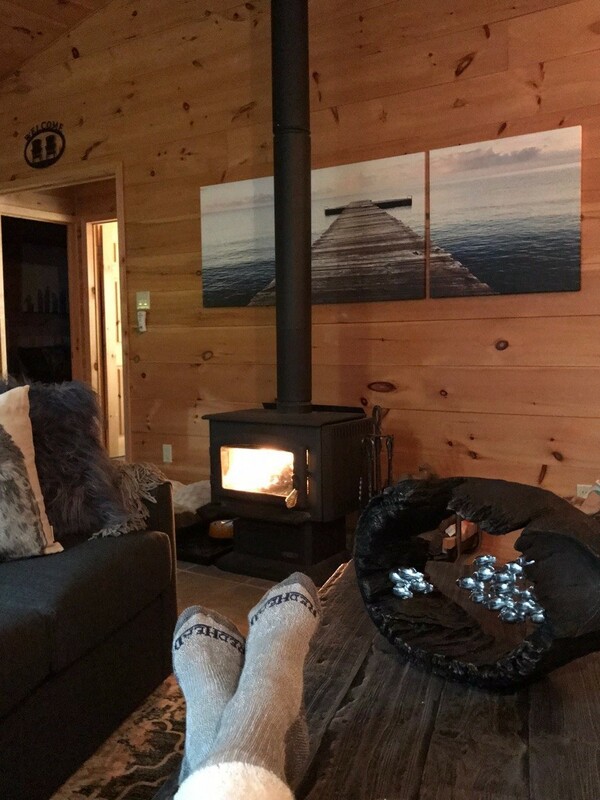 Thank you for sharing your fabulous cottage with us! We enjoyed & loved every minute of it. The view, the lake, the loons & on & on was perfect. Such a great way for us to enjoy our last weekend of summer! We hope to return next year for many more memories! Thank you also for the thoughtful bottle of wine. We loved the cottage! Everything was perfect and made our trip unforgettable. Everything was very clean, tidy and nice. We always had something to do thanks to the board games, movies and gaming consoles. We enjoyed our stay at Six Mile Smiles enormously. One thing that we want to address is to add mirrors in the bedrooms because the small mirror in the bathroom did not suffice. Thank you for this amazing cottage! 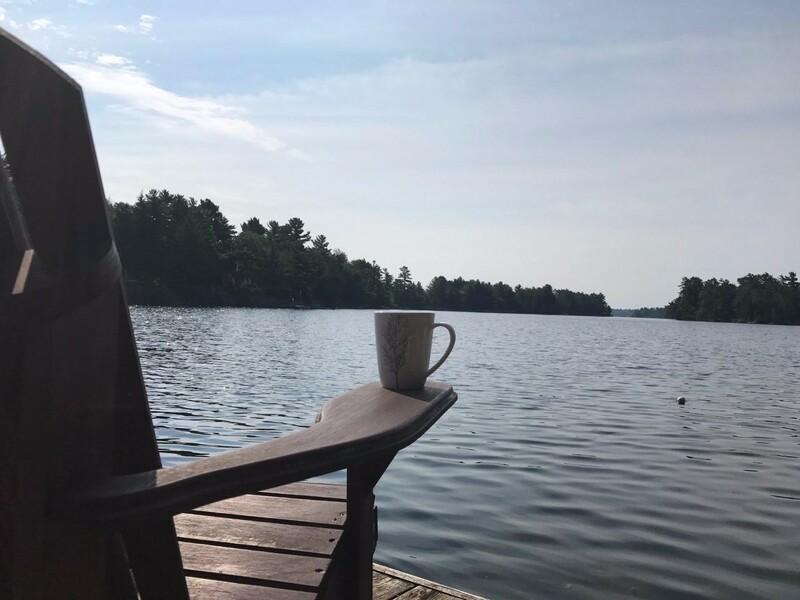 We are so glad you enjoyed the cottage life! Thanks for the great suggestion about the mirrors. I have picked up three full length mirrors for the backs of the doors. Thank you! Was a fantastic stay, funny the grey tiles in the washroom are the same from our renovated house. 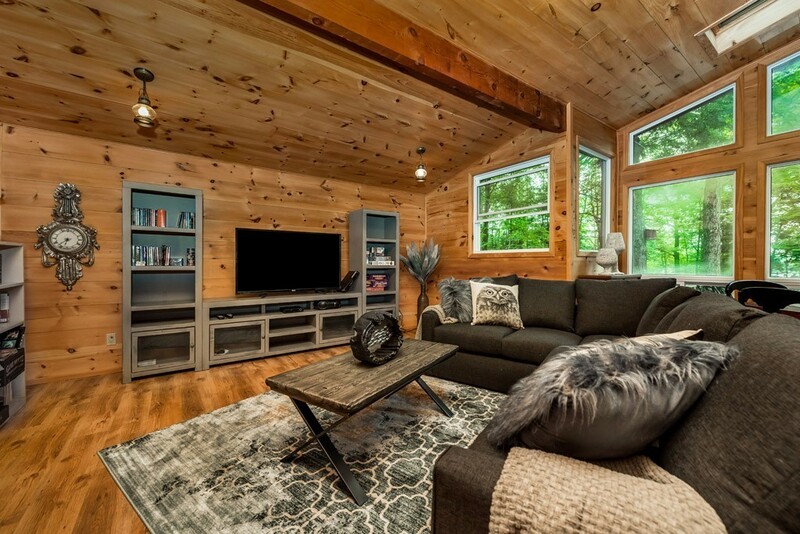 We also are renting to get away from the City of Toronto and it is a refresh of life here. We will come again! Hopefully we can meet up sometime. At Six Mile Smiles, all beds and mattresses are newer and come with high thread count sheets. One queen sized bedroom. One double sized bedroom. 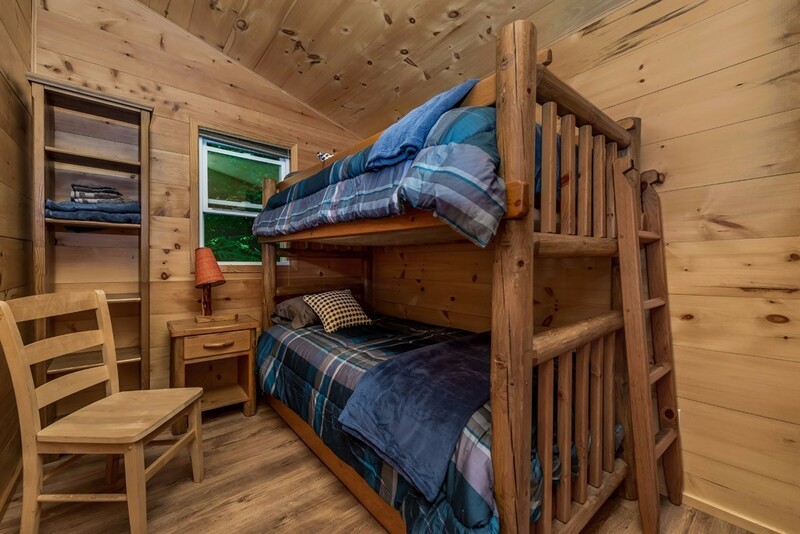 The third bedroom has a trundle bunkbed (a single over single bunk with a third pull out single from underneath. The living room contains a queen sized pull out sofa bed. All linens, towels, and pillows are provided and are freshly made for your arrival! Refrigerator, Oven, Stove, Microwave, Toaster, Propane BBQ, Washer, Dryer, Coffee Maker, Kettle, Slow Cooker, All the comforts of home. Entertainment: 55" TV in living room, 24" TV in master bedroom, Bell Satellite Dish, VCR/DVD player, Xbox 360, Wii, Movie Collection, Board Games and Books. Avalon Spa at Christie's Mill - 22 min. School House Walking Trail - 23 min. 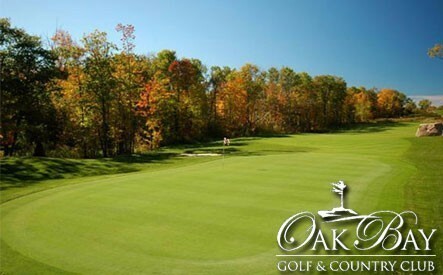 Oak Bay Golf and Country Club - 24 min. Big Chute Falls - 26 min. Highview Farms horseback riding - 27 min. Coldwater Bowling - 30 min. 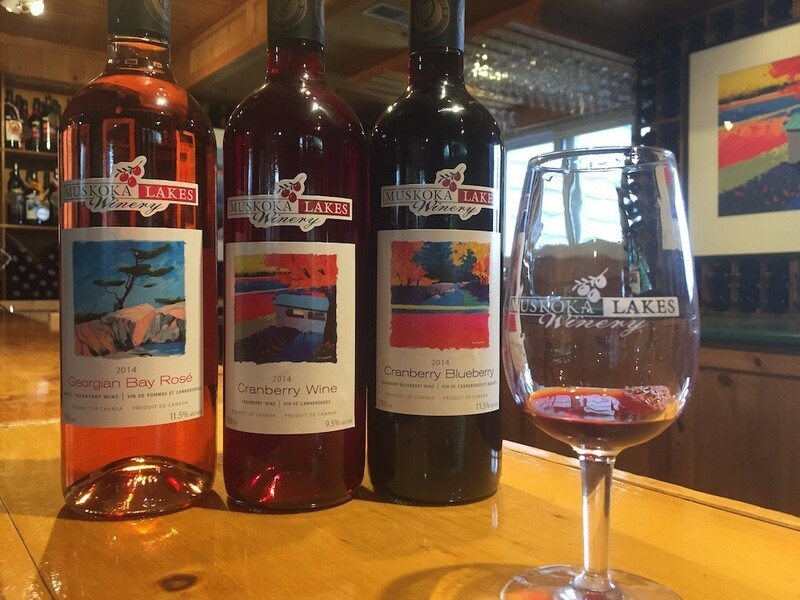 Johnston's Cranberry Marsh and Muskoka Lakes Winery - 33 min. Mount St. Louis Moonstone ski - 34 min. Wye Marsh and Wildlife Centre - 36 min. 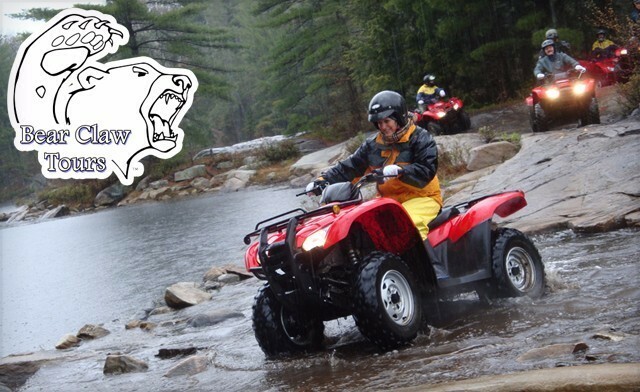 Bearclaw ATV adventure Tours - 39 min. 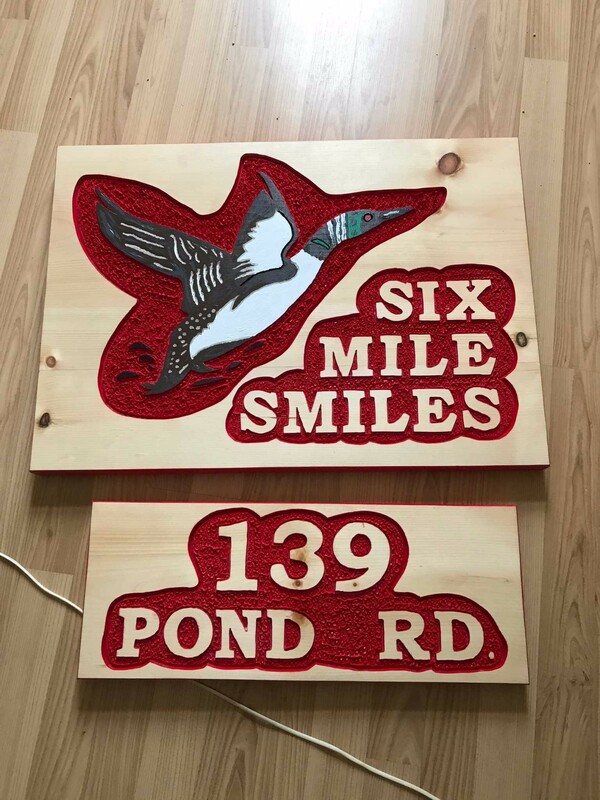 Welcome to Six Mile Smiles! We are the MacDonald family and we are excited to share the cottage life with you. We have been renters for many years, and now are thrilled to be new cottage owners. 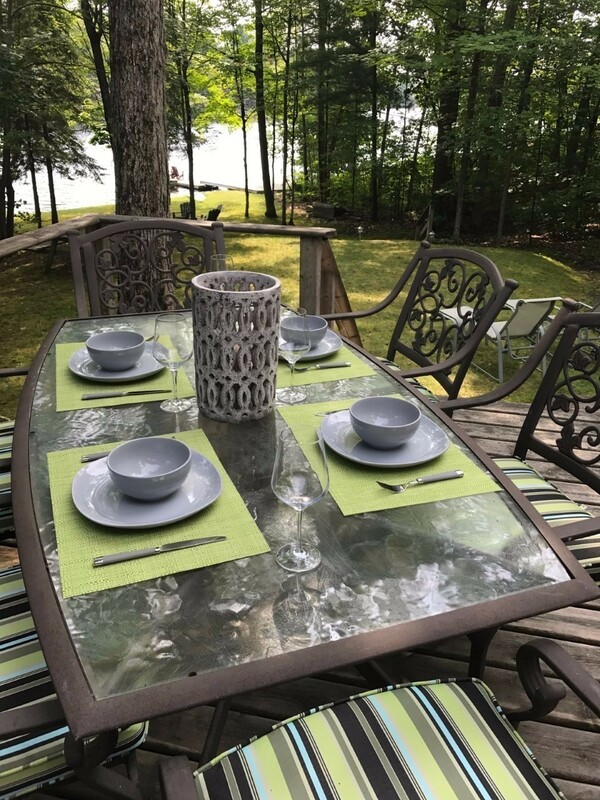 Located on Six Mile Lake, Six Mile Smiles is a beautiful boutique cottage with everything you need. We love that it's only 90 minutes from Toronto so we are on the dock having a cold drink while other cottagers are still on the highway. 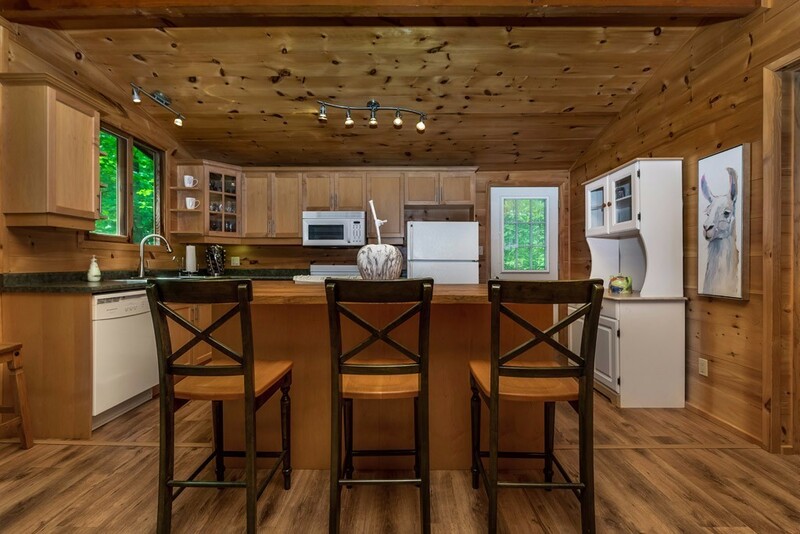 Our cottage provides all the comforts of home in the heart of Muskoka. The furnishings and decor are professionally done, and the kitchen is well equipped. You will feel spoiled! From the kitchen and living room, there is an excellent view of the huge deck, the gradual lawn to the water, and the sandy waterfront and dock with all the water toys you need. I love being able to watch my guests enjoy the property and my kids play in the water when I'm up in the cottage making a meal. The fishing is unbelievable! Great bass from the dock, and lots of fun dock fish for the kids to catch. 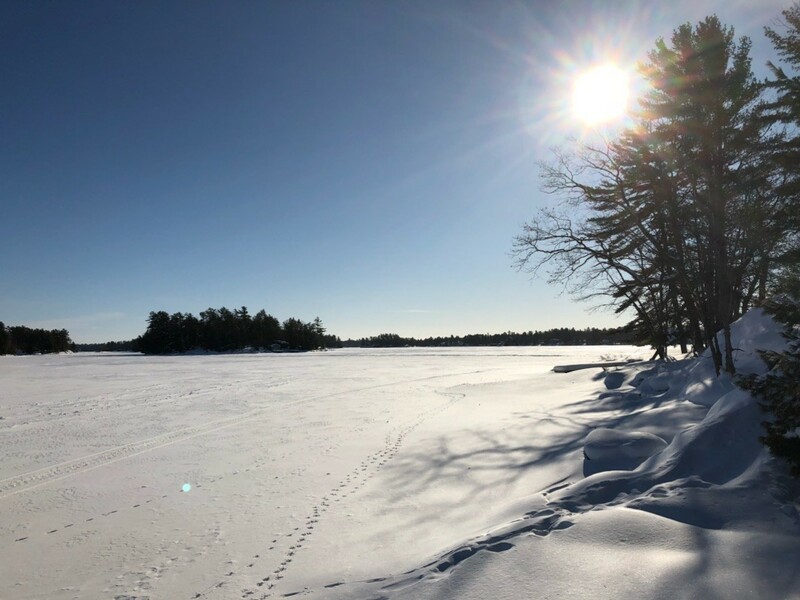 Listening to the frequent loons calls while watching the sun sparkle on the lake is our idea of paradise! Perfect for a couples getaway or a quiet family moment. We welcome you to join us and hope you will come again and again.